When we look at the way crossovers, SUVs, trucks and powerful cars are dominating the retail vehicle market to the detriment of smaller, more fuel-efficient sedans, hatches and coupes, it would be easy to assume it’s a similar story with vans. If low gas prices mean retail buyers can enjoy bigger, more powerful vehicles than they'd consider if gas was as expensive as it was a few years ago, it's logical to assume it's a similar story with commercials too. Well, not really. Regardless of how low gas prices get, any savings on fuel can help improve a company's bottom line, so fuel economy will always win over some extra capability a business might not really need. This is why the 2017 Ford Transit Connect is such a great choice for businesses, but it can also be an excellent vehicle for retail customers as well. 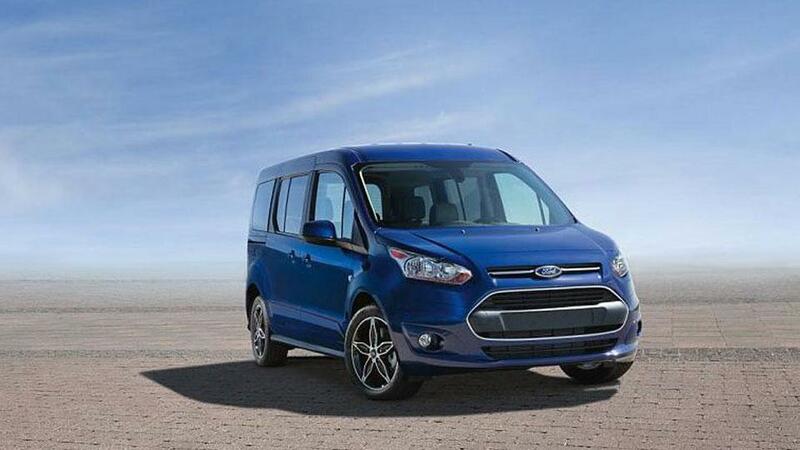 You see, as well as coming in compact cargo van form, the 2017 Ford Transit Connect is also available as a passenger wagon. Its compact proportions mean it may not offer as much passenger and cargo space as a traditional minivan, but it certainly represents a more stylish alternative for those who might not need the extra room. 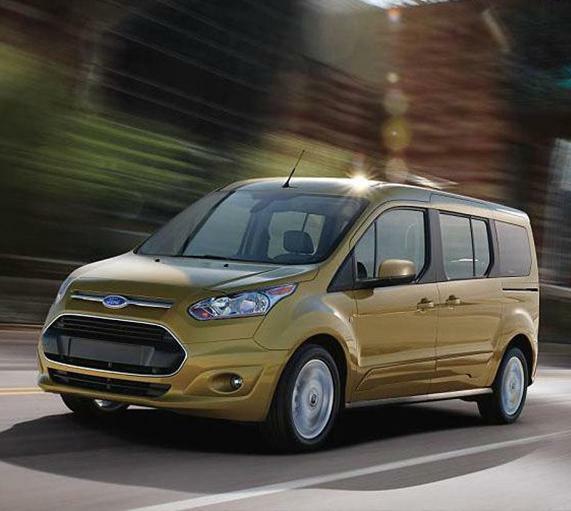 In its cargo van format, the 2017 Ford Transit Connect is available in two different trim levels of XL and XLT. As for the engine and transmission, things couldn't really be any simpler as there's just the one combination available. The engine is a 2.5-lter Duratec DOHC inline-four that develops 169 horsepower and 171 lb.-ft. of torque, which is then sent to the front wheels through the standard six-speed SelectShift automatic transmission. The EPA-estimated fuel economy ratings for the Transit Connect cargo van are therefore a very useful 20 mpg in the city, 27 mpg on the highway and 23 mpg combined, which are numbers to put a smile on the face of any company accountant. * However, it has to be kept in mind that extensive up-fitting of the Transit Connect or a heavy load is always going to have an effect on those numbers. That effect can be seen with the passenger version of the Connect, where the additional weight of the passenger seats sees those EPA rating slightly reduced to 19 mpg in the city, 27 mpg on the highway and 22 mpg combined. 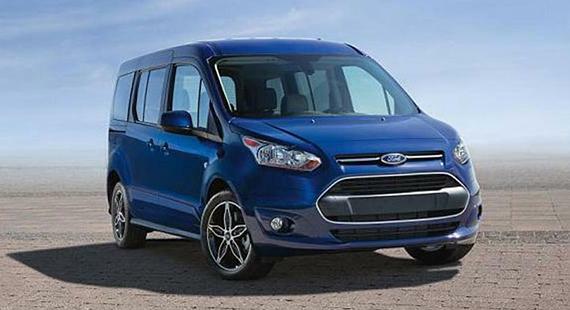 Both the cargo and passenger versions of the 2017 Ford Transit Connect are available in long and short-wheelbase variants. With the passenger van, the short-wheelbase version means seating for five while the long-wheelbase seats up to seven, and there's also an additional top trim level of Platinum, which is six-seat as standard with the option of seven. The difference is just as stark between the long and short versions of the cargo van, with the short-wheelbase offering 103.9 cu.-ft. of cargo space while the long-wheelbase ups the ante to 128.6 cu.-ft. There's also an important difference in maximum payload capacities, where the short-wheelbase cargo van can haul up to 1,470 pounds but the long-wheelbase can cope with up to 1,610 pounds. Whether it’s the cargo or passenger version that's of interest to you, the Transit Connect is an incredibly versatile, capable, efficient and stylish alternative to larger models if you don't really need the additional space.